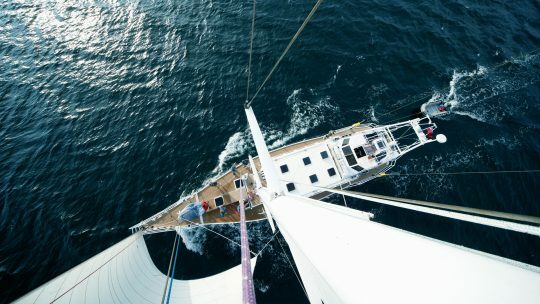 Join our VentureSail crew and Mammut Mountain guides on a bespoke trek and sail weekend experience. 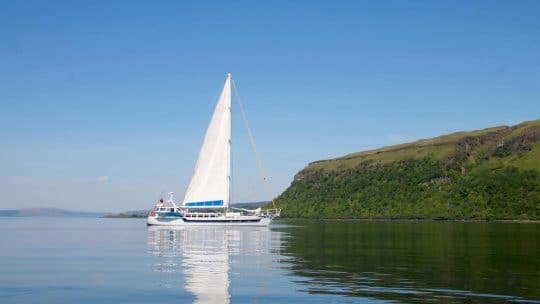 Sail to remote anchorages around the Isle of Mull on luxury expedition vessel Zuza, before embarking on a days trek across a tailored trail. We have teamed up with Mammut Mountain School to bring our guests a unique opportunity – combining our sailing holidays with guided trekking in the Hebrides, Scotland. 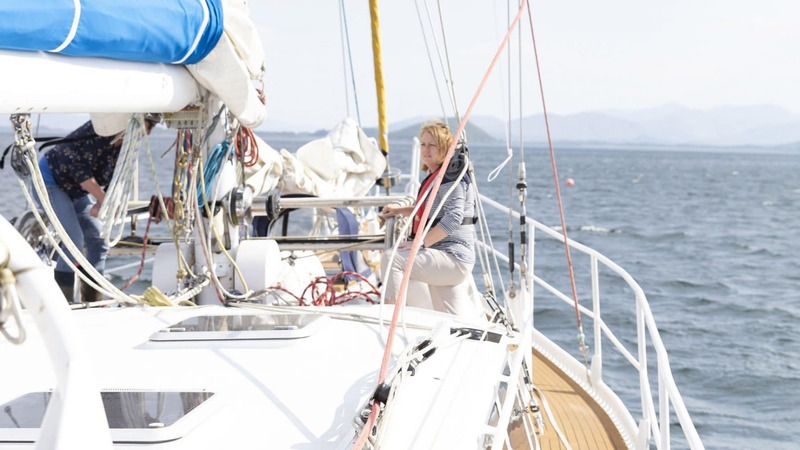 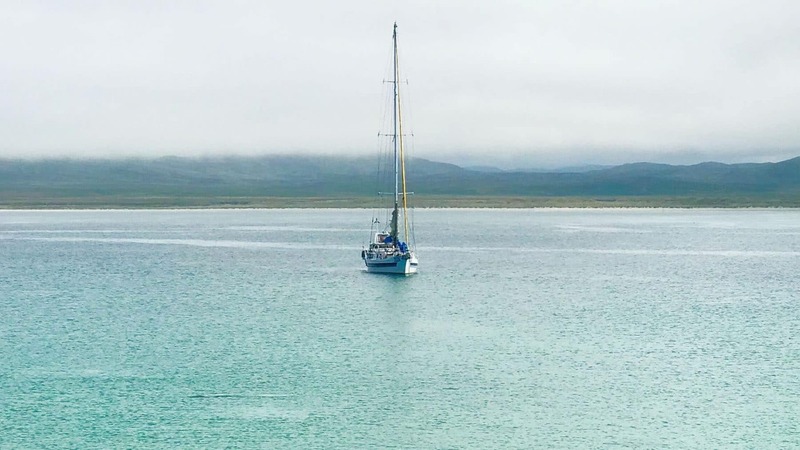 Jump aboard luxury expedition yacht Zuza for this weekend trip giving guests the chance to learn the ropes of sailing and explore the remote locations and unmarked route in the Hebrides. Sail to places only accessible by boat and navigate paths determined by your Mammut hiking guide, trekking across naturally beautiful terrains around Scotland. Your route will be planned by your Mammut guide and will not be a marked path, offering a unique opportunity to explore where few people have had the chance to set foot. 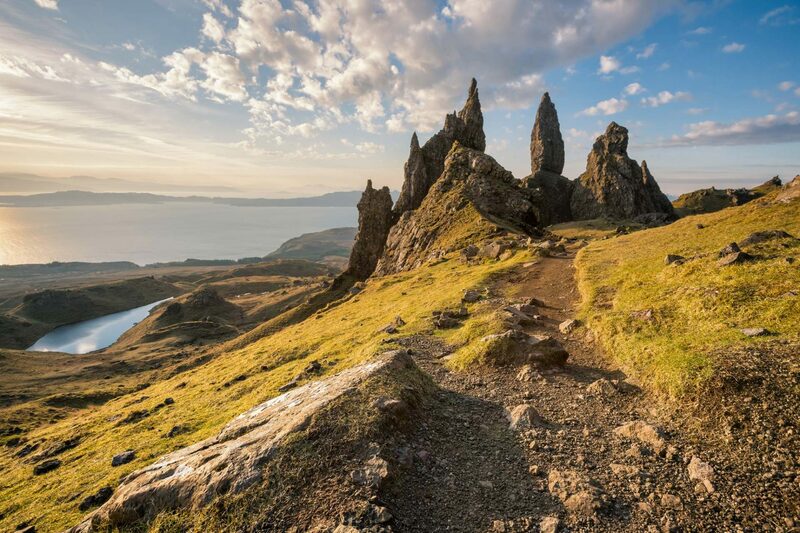 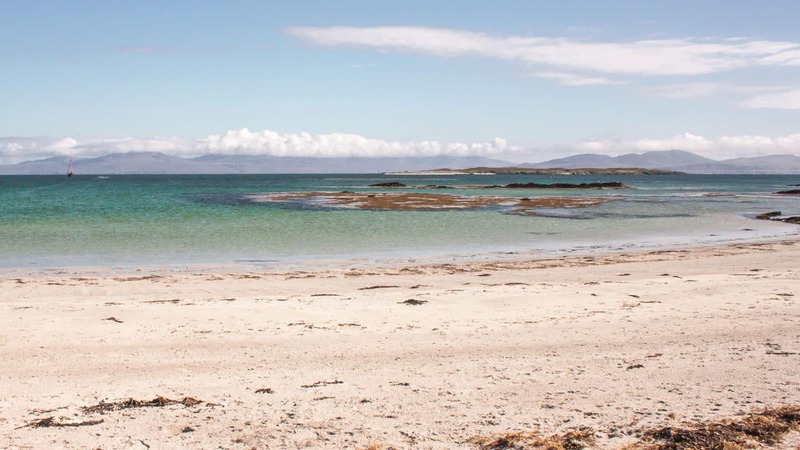 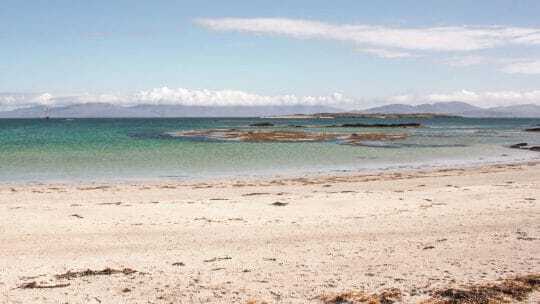 Your days’ trek will see you walk over Beinn Bhearnach, Sgurr Dearg (Graham) and Dun Da Ghaaoithe (Corbette) before meeting the yacht at the end of the day at Scallcastle Bay. 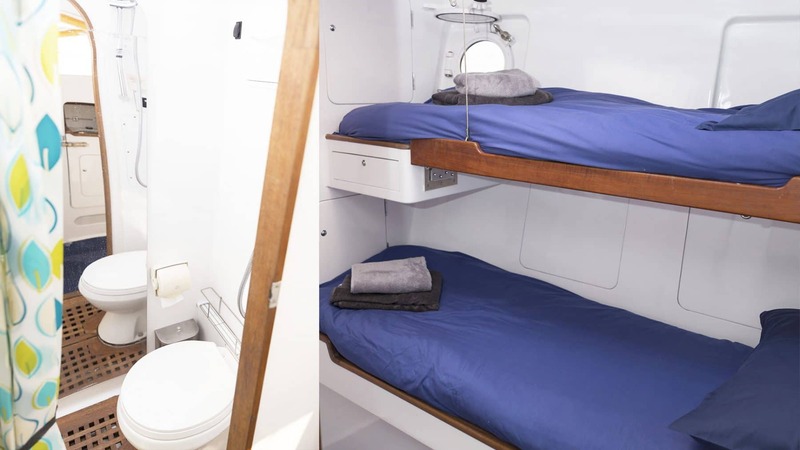 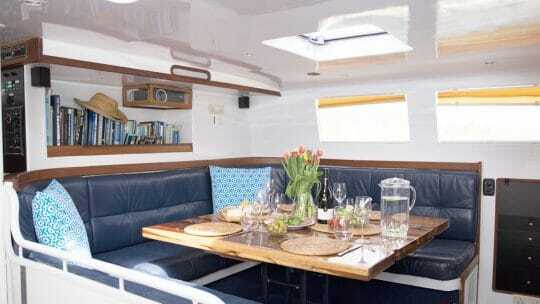 Aboard Zuza you will be provided with everything you need for your adventure weekend away. 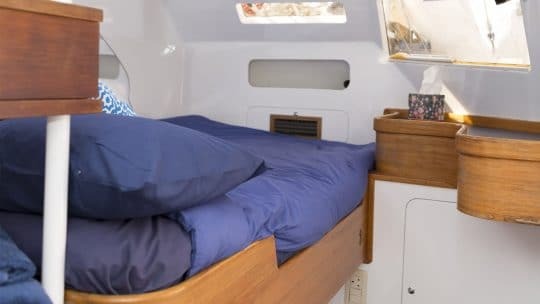 Offering freshly prepared food, comfortable social spaces and private cabins with plenty of storage, this purpose built expedition yacht was made for trips like these. 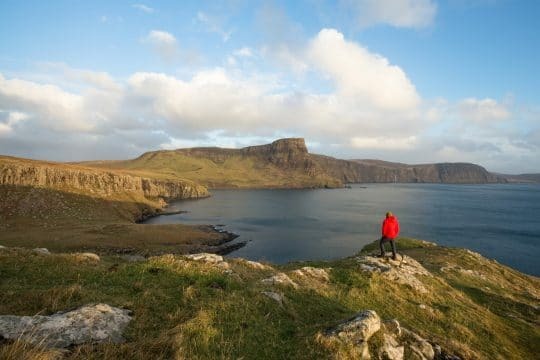 Meet new faces, discover new locations and spot an abundance of wildlife, all under the guidance of experienced professionals. 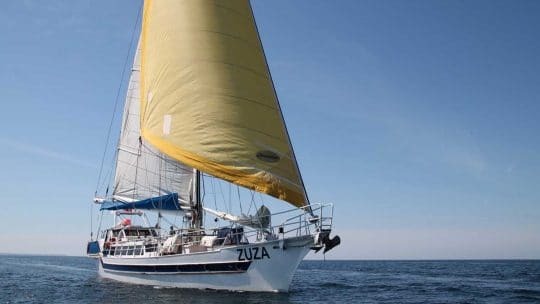 The trip includes all meals and drinks (including a packed lunch for the treks & three-course evening meals), Mammut mountaineering equipment, Mammut hiking guide, and exclusive use of luxury yacht Zuza, sailed by a qualified skipper and crew. 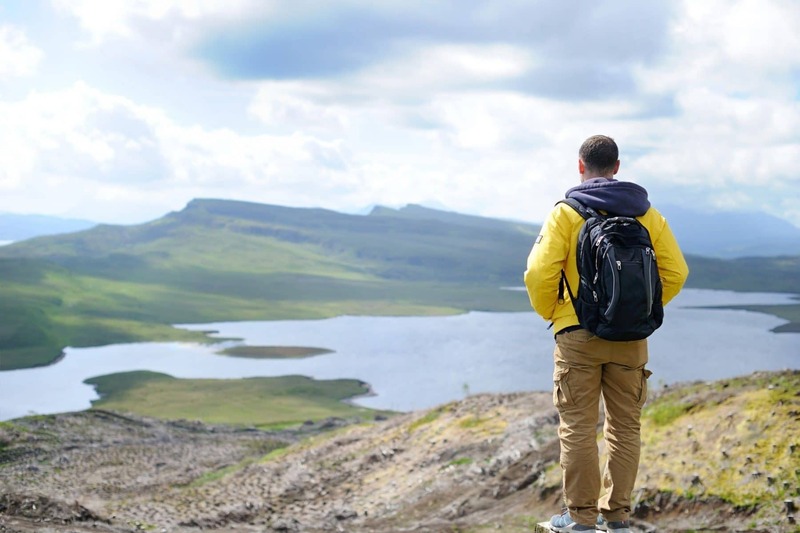 Guests need to be at a good level of fitness and bring with them 3 season walking boots. 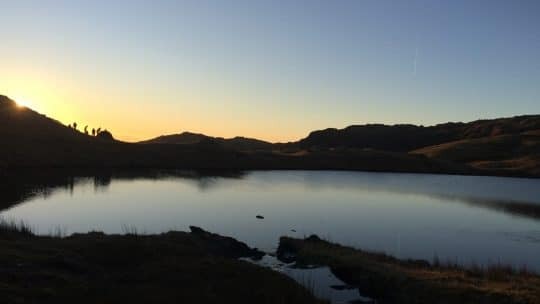 Mammut Mountain School offers a rare opportunity to learn outdoor adventure skills in a stunning setting from some of the country’s most experienced mountaineers. It is run by Sam Sykes who has decades of experience leading expeditions across the globe. Sam climbed his first mountain aged three and now his knowledge and dedication to helping others achieve their adventure goals are helping him build the best expedition company in the world. 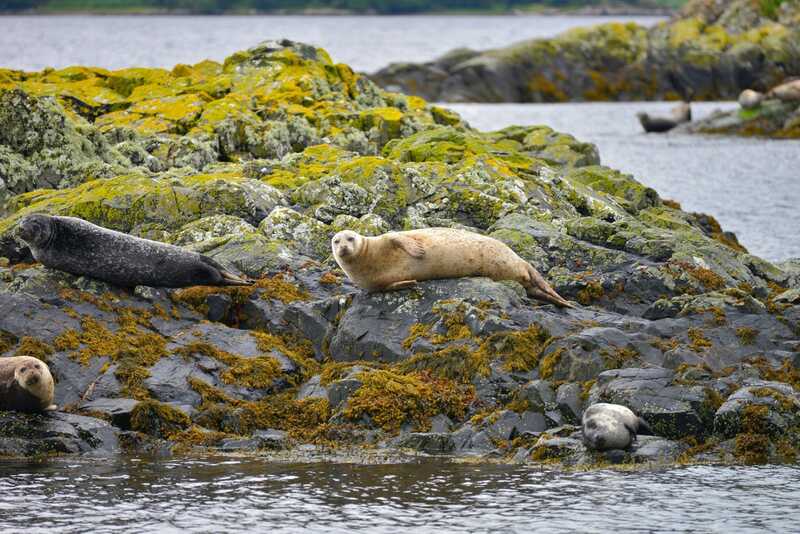 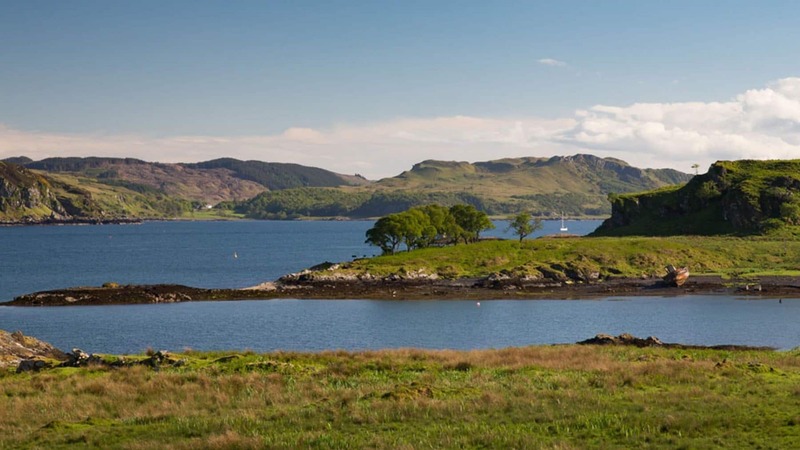 Join Oban 1500, depart on Zuza Oban 1700, arrive Loch Spelve on Mull 2000 and anchor. Up Anchor 0900, move to Lismore, Anchor of Lismore walk: return to Oban 1600 and depart.